Una riedizione in vinile del primo album dei Matching Mole dovrebbe essere pronta per la fine di agosto. Lo annuncia Burning Shed, aprendo le prenotazioni: "A limited 180g facsimile vinyl edition of Matching Mole's self-titled debut album re-mastered from the original CBS master tapes. 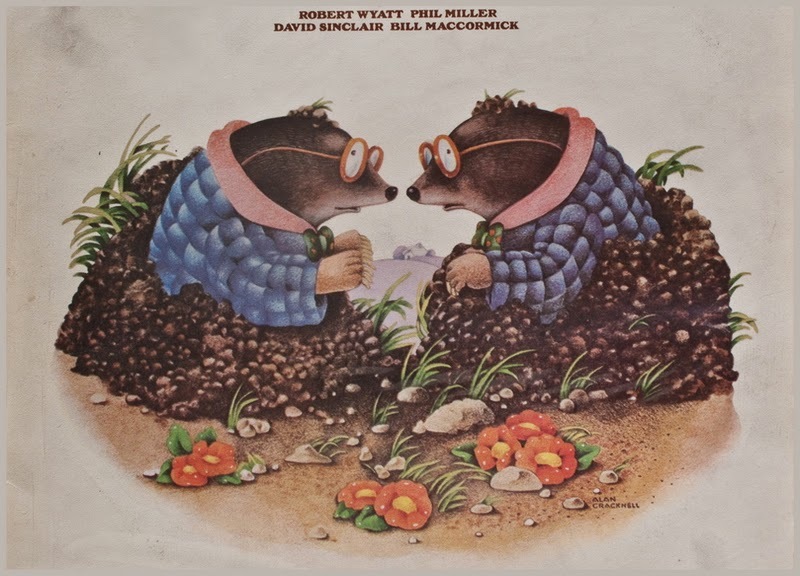 A Canterbury supergroup formed in 1971, Matching Mole featured former Soft Machine drummer Robert Wyatt, former Caravan keyboard player Dave Sinclair, guitarist Phil Miller, and Quiet Sun bassist Bill McCormick. This 2014 Esoteric Recordings LP is a facsimile of the original 1972 vinyl release and includes an inner bag featuring an essay by Sid Smith." 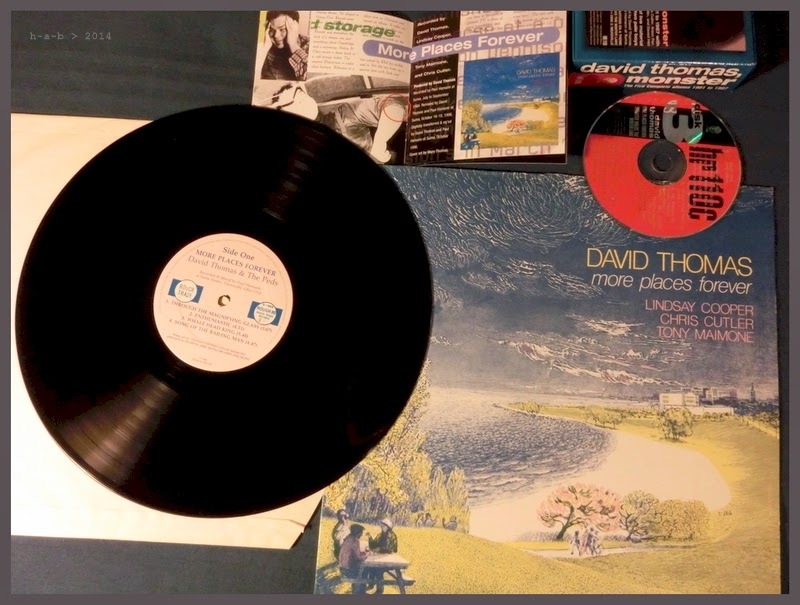 Chissà che per More Places Forever la terza volta non sia quella buona... Il missaggio del 1985 - che diede origine alla prima versione, su vinile - fu superficiale e distratto, il sorprendente remissaggio del 1996 - quello del cd incluso in Monster - risultò anch'esso frettoloso e incompleto, sebbene più vicino alle intenzioni originali. 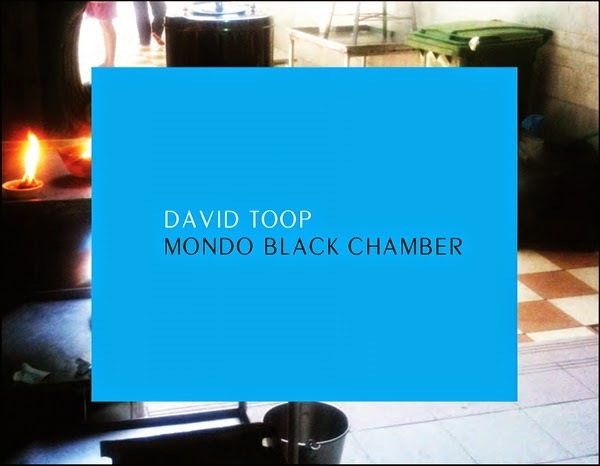 La nuova versione, targata aprile 2014, dovrebbe essere quella definitiva, ed è ora disponibile - solo come file audio - presso Hearpen: David Thomas con Lindsay Cooper, Tony Maimone e Chris Cutler. This is the second revision of the original 1985 release. The original mix for vinyl release in 1985 suffered from lack of time and distractions. It was remixed at Suma in 1996 with the radical approach that David Thomas had originally planned for. A less than good post-production process, hurried again, caused Thomas to re-visit the various mixes in April 2014. All mixes were examined and, in some cases, edits were made or alternate mixes chosen. The audio was re-EQed by Paul Hamann and attention given to the post-production processing. This is the way it was supposed to sound. Lyrics are also available from the ubuprojex.com website. 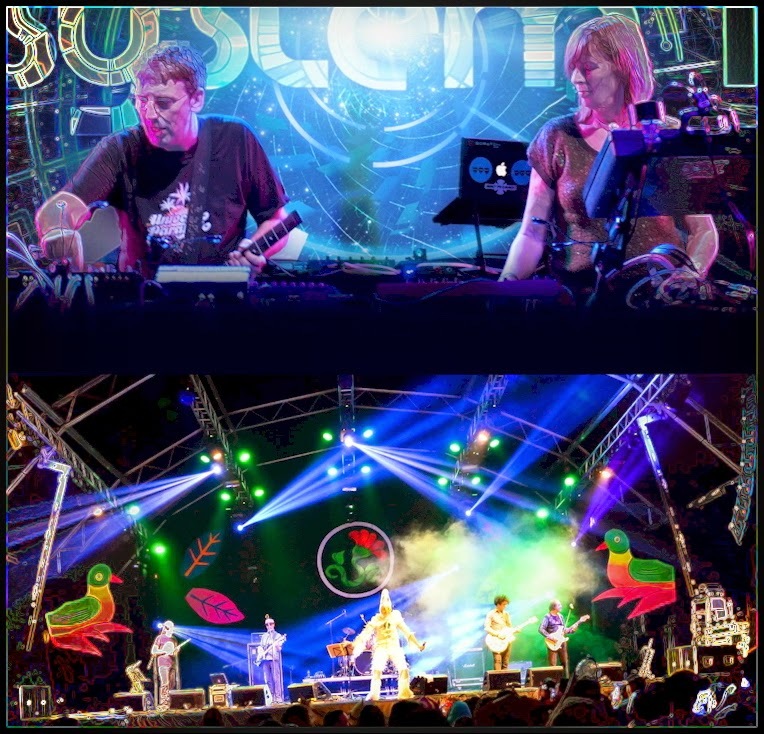 When Gong’s much-anticipated headline slot at The Glade stage on Friday 27th June had to be cancelled due to Daevid Allen’s health problems, Steve Hillage, who was to guest with Gong that night, was asked to step in with System 7. Due to the circumstances Steve wants to do something uniquely special - the obvious choice was to invite some of the current Gong musicians to guest with him and partner Miquette Giraudy. Together they plan to incorporate a few well known Gong instrumental tracks into a rocking System 7 set and bring it all to a rousing climax of rock/techno fusion. Joining them will be current Gong members Dave Sturt (bass and ambient sounds) and Ian East (flute and sax) plus Magick Brother and long-time Daevid Allen collaborator Graham Clark (violin). So we aim to vibe up the ailing alien allen with the positive, energising vibration of music - with the System 7, demi-Gong, Magick Brother combi, which will mix and match in new, mysterious and powerful ways, raise the holy cheeses high and send their essence around the globe - always our intent - but now with added laser-like focus. 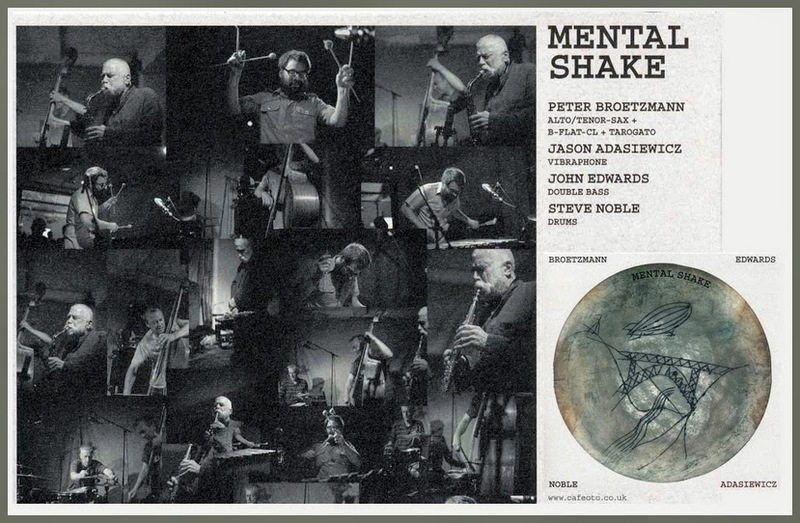 Con Mental Shake giungono a quota dieci le autoproduzioni di Otoroku, emanazione discografica del Cafe Oto: ne sono titolari Peter Brötzmann, Jason Adasiewicz, John Edwards e Steve Noble, ripresi dal vivo a conclusione di un'infuocata residenza artistica presso il club londinese l'anno scorso verso ferragosto. 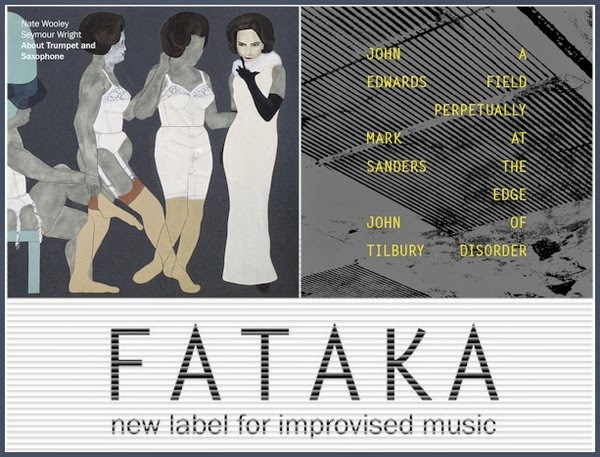 "The tenth Otoroku release sees a return to the group that kickstarted the label - the veteran German reedsman and free jazz pioneer Peter Brötzmann with the long-running London bass/drums partnership of John Edwards and Steve Noble. 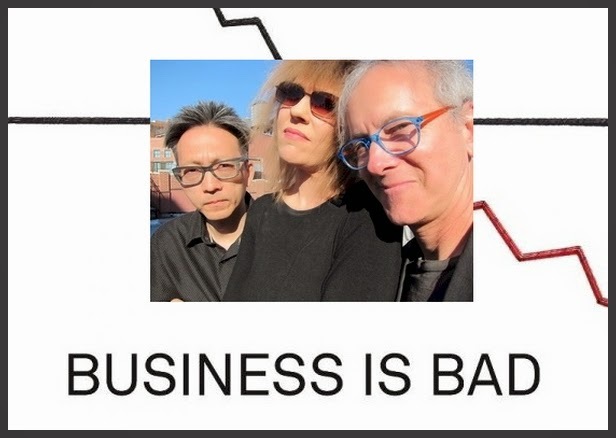 After the release of '…The Worse The Better' that group went on to play a series of devastating shows in Europe and to emerge as one of Brötzmann's finest working groups. Over the same period Peter was developing a deep rapport with Jason Adasiewicz, the upstart vibraphone player from Chicago. What seems on paper like an awkward pairing reveals itself on stage and on record as a symbiotic revelation. Adasiewicz's physical attack matching Brötzmann for impact whilst the extended sustain of the vibes opens up an eerie space for some of Brötzmann's most fertile lyricism. The recording is from the last set of a two-day residency at Cafe Oto that brought these two groups together for an astonishing quartet. Adasiewicz and Noble struck up an immense partnership in rhythm. Edwards wrestled with a broken house bass and failing amplifier and still managed new levels of invention - stoking the others onwards. Brötzmann was clearly energised - I swear I saw him dancing at the side of the stage whilst exchanging a shattered reed. And for all the usual rhetoric of free jazz bluster and machismo, this is a meeting characterised by the joy of communal creation that makes you want to dance - even if only in your head." Il festival Just Not Cricket! si tenne a Berlino dal 6 all'8 ottobre 2011 secondo un programma meticolosamente curato dal regista Antoine Prum, con protagonisti molti campioni storici e attuali della musica improvvisata britannica tra cui Steve Beresford, Gail Brand, Lol Coxhill, Rhodri Davies, John Edwards, Dominic Lash, Phil Minton, Eddie Prévost, Orphy Robinson, Mark Sanders, Alex Ward e Trevor Watts. Un corposo box di 4 lp - ancora disponibile tramite Bandcamp - ha già documentato le fasi salienti del festival; oggi debutta al London’s East End Film Festival il lungometraggio realizzato in quei giorni, con riprese dei concerti e conversazioni con i musicisti raccolte da Tony Bevan e Stewart Lee. Il titolo è Taking the Dog for a Walk. 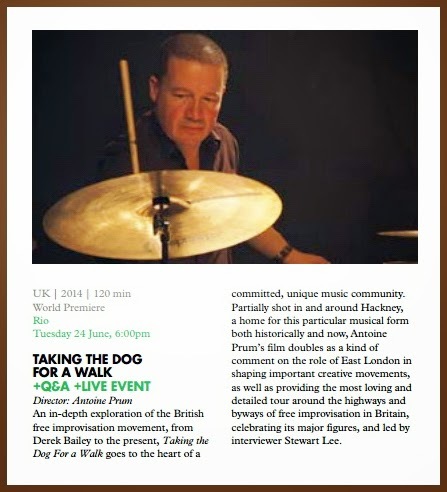 The world premiere of Taking the Dog for a Walk is part of the London’s East End Film Festival 2014. A director’s cut of 128 minutes will be screened on this occasion. Many of the musicians who have participated in the film will attend. After Sunny’s time now, his authoritative portrait of the American Free jazz drumming legend Sunny Murray, Luxembourg filmmaker Antoine Prum turns his attention to the British Free Improvised Music scene in this new feature-length music documentary. Branching out from a three-day festival in Berlin conceived and organised for the purpose of the film, Taking the Dog for a Walk maps the scene of British Improvisers, past and present. Following the leads of artistic advisor Tony Bevan, it retraces the road that leads from its emergence and emancipation from the various free music movements of the 1960s to the recent (albeit small) surge in popularity as talented new players and dynamic venues are coming to the fore. While not trying to be exhaustive, the film talks to key players who have helped define and redefine an ever-changing musical idiom by taking on board new influences. 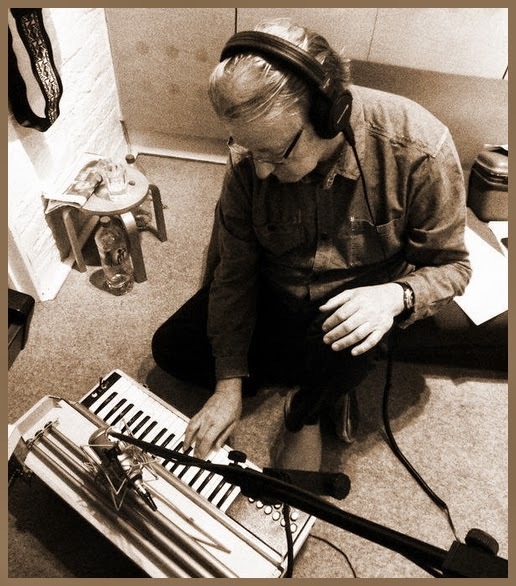 In his search for the ‘Britishness’ of British Free Improvised Music, Prum and Bevan are assisted by stand-up comedian and bona fide Derek Bailey expert Stewart Lee, who converses with musicians from different generations and backgrounds to uncover the specifics of a genre that refutes the very notion of genre. Alternating with extended live music sequences, the conversations gravitate around the idiosyncrasies of improvisation, from playing in front of the proverbial ‘four men and a dog’ to pursuing a career in a milieu where success is not measured by mainstream criteria. Guided by its sense of humour, the film suggests that the relative confidentiality of free improvised music, rather than hampering its development, has ensured its continuing renewal. E il mese scorso a Carla Bley ha conferito il dottorato onorario per meriti musicali il New England Conservatory di Boston (Stati Uniti). 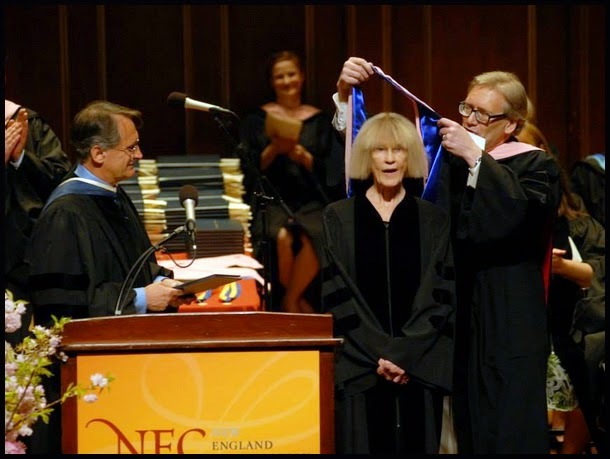 Se ne fa un vanto l'ECM, nel darne notizia: "New England Conservatory has bestowed honorary Doctor of Musical Arts (DMA) degrees on distinguished musicians and scholars at its 143rd annual Commencement Exercises, Sunday, May 18 at 3 p.m. in NEC’s Jordan Hall. The recipients included jazz composer and bandleader Carla Bley and Estonian-born composer Arvo Pärt. Carla Bley’s notable recorded works include A Genuine Tong Funeral, written for Gary Burton, the jazz opera Escalator Over the Hill, Fleur Carnivore, The Carla Bley Big Band Goes to Church, Looking for America, and The Lost Chords amongst many others. One of the pioneers in the development of artist-owned record labels, she and her second husband Michael Mantler created WATT Records, for which she recorded many of her works and which has been distributed through ECM since the 1970s. 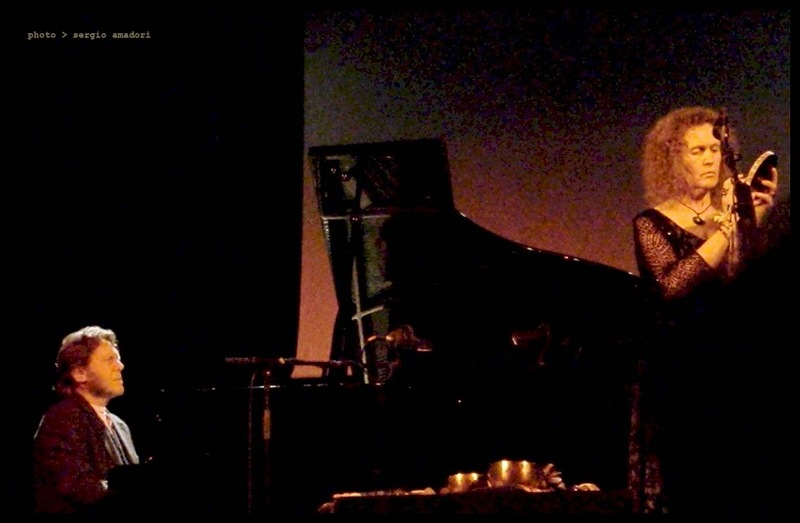 In September 2013 Trios, her first album for ECM itself, produced by Manfred Eicher in Lugano, was released to critical and public acclaim. 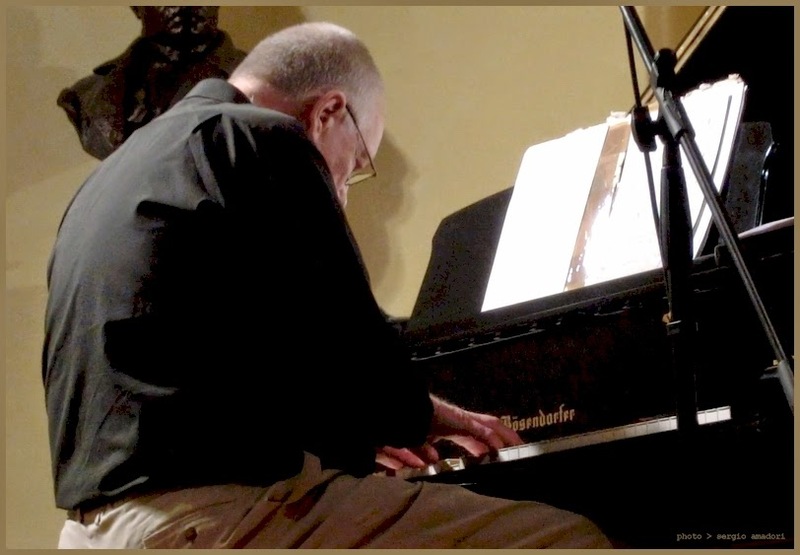 Bley has been honored with a Guggenheim Fellowship in 1972 and the German Jazz Trophy “A Life for Jazz” in 2009." 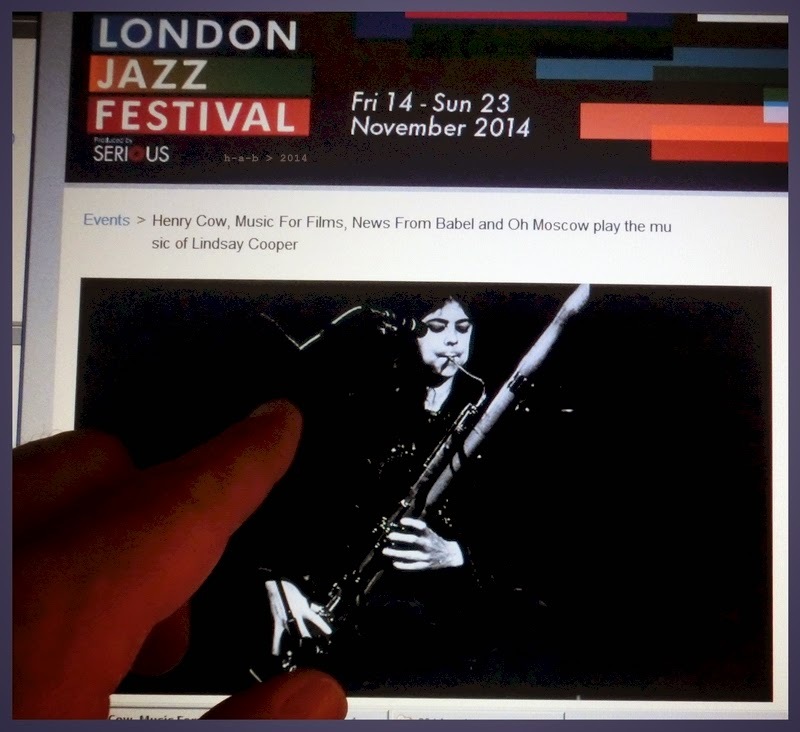 Sono in vendita da oggi i biglietti per lo specialissimo concerto che la sera del 21 novembre 2014 vedrà riunirsi a Londra, nell'ambito dell'annuale London Jazz Festival, quattro leggendarie formazioni per ricordare Lindsay Cooper ed eseguirne le musiche: Henry Cow, Music For Films, News From Babel e Oh Moscow. Un evento a dir poco irripetibile. O quasi. Accadrà di nuovo la sera seguente, al Contemporary Music Festival di Huddersfield, nel West Yorkshire. 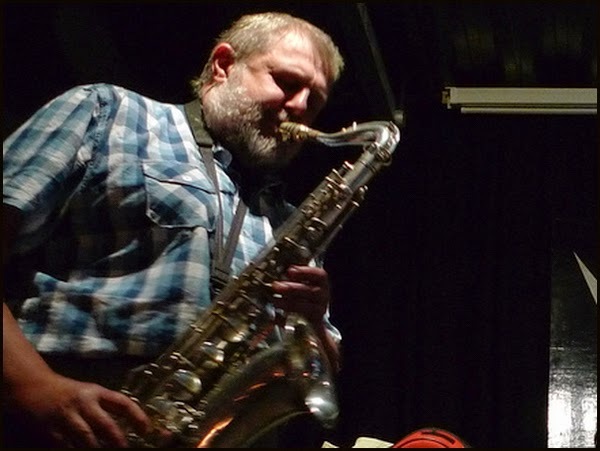 To celebrate the life and work of Lindsay Cooper (1951-2013), four legendary bands are coming together from points halfway across the earth to perform Lindsay’s music at the Barbican as part of EFG London Jazz Festival. The concert will feature Henry Cow (1968-1978, who said they’d never re-form), Lindsay Cooper’s Music for Films (1982-1986, which does what it says on the label), News From Babel (1984-1986, who never performed live), and Oh Moscow (1987-1993, assembled to play the song-cycle of the same name). The confirmed lineup features Alfred Harth, Anne-Marie Roelofs, Chris Cutler, Dagmar Krause, Fred Frith, John Greaves, Michel Berckmans, Phil Minton, Sally Potter, Tim Hodgkinson, Veryan Weston and Zeena Parkins. Lindsay Cooper, in common with most film composers, was poly-stylistic and no respecter of musical convention; less commonly, she also understood performance dynamics and the chemistry of bands. The concert, produced by Serious, offer a unique and never-to-be-repeated opportunity to hear some extraordinary repertoire, as well as to catch these four exceptional and now legendary bands. Prende il via domani l'undicesima edizione dell'Avantgarde Festival, speciale evento organizzato da Jean-Hervé Peron e la moglie Jeanne-Marie Varain presso la propria casa di campagna nell'area di Schiphorst, nel nord della Germania non lontano da Amburgo. Musicisti e artisti di diversa esperienza e provenienza si incontrano - e incontrano il pubblico - in modo amichevole e informale, dando vita a svariate attività musicali, artistiche e sociali oltre le convenzioni e le restrizioni spazio-temporali dei comuni appuntamenti festivalieri. Nel fitto programma delle tre giornate è suggerito anche un inedito incontro tra Mani Neumeier, Zappi Diermeier, Chris Cutler, Geoff Leigh, Yumi Hara Cawkwell e Jean-Hervé Peron che ruba (o presta?) il sottotitolo all'intero weekend: Jump for Joy! Scrivono gli organizzatori: "With the celebration of the 10th Avantgarde Festival in 2013, we had achieved more than we had ever hoped for. Year on year things improved: more groups, better technical equipment, larger audiences, but yet retaining the intimate and homely atmosphere of Schiphorst. Now, forward into a new decade! 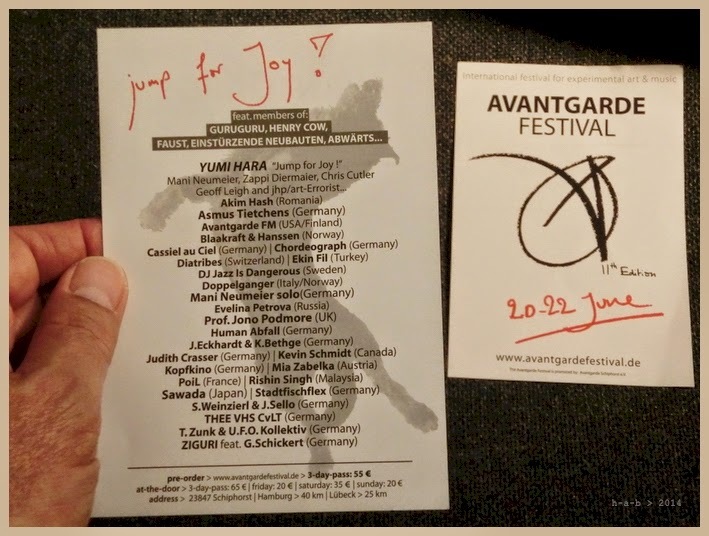 The Avantgarde Festival offers an ideal platform for artists to express themselves: excellent technical conditions, efficient organization, yet a relaxed atmosphere... and above all an attentive, knowledgeable and open minded audience. The experiments and spontaneous collaborations of previous festivals remain most important to us. This year we shall again offer and expand these possibilities in our Annex - a large stage area within the festival site, which offers space for performances of all kinds, running independently to the main programme. Part of the special flavour of the Avantgarde Festival is our continuing policy of no artists’ backstage and all have the opportunity to relax and talk over dinner, at the bar or around the bonfire. Everybody here is a headliner, whether guest, crew member or artist; they all contribute to the success of the festival. "Three days of utopia" according to Chris Cutler. So, what does it mean to organize a festival which calls itself avantgarde and which claims to be utopian? For us, these are nothing but names, pseudonyms for an idea, for a path; for us it is more about an experimental approach to art, about the desire to create something new and to share it with others, a non-interest in the raging torrent of art-marketing. For us, it is simply dedication and uniqueness. This is how we want it and this is how our Utopia, our dream shall live again this year!". Un sunto dei concerti tenuti lo scorso autunno in Giappone da you me & us - Daevid Allen, Chris Cutler e Yumi Hara - è in un cd prodotto in proprio, distribuito ai concerti e su richiesta: Poesy at Play. Con lo zampino di Bob Drake. 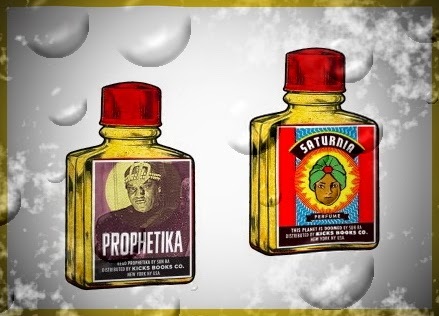 Sull'esito - buono, grazie al cielo - dell'operazione che ha impedito a Daevid Allen di partecipare al nuovo giro di concerti poche settimane fa, così riferisce la stessa Yumi: "Great news from Gong's beloved Dingo Virgin/Bert Camembert otherwise known as Daevid Allen. The operation was a success and the surgeons particularly commendable for taking extra special care with the nerves and tendons vital to Daevid's ability to continue performing. Daevid sends a huge special thank-you to everyone who has been sending their love and their time concentrating on him and his health, it has made a huge difference!! Well done everyone! Still some big hurdles to overcome yet - but, PHEEEEEEW... Spread the news and let's keep that energy focused on seeing him happy, perfectly healthy and jumping around stage like a teenager again!". Trova un primo 'naturale' sbocco su vinile - ma i brani sono distribuiti anche in formato digitale via iTunes - il lavoro documentaristico di Alex Steyermark e Lavinia Jones Wright The 78 Project, sorta di viaggio etnomusicologico in varie aree urbane e rurali degli Stati Uniti intrapreso sull'esempio storico di Alan Lomax allo scopo di raccogliere esempi e testimonianze di forme musicali, canti, brani originali o della tradizione. Le registrazioni sono state effettuate nell'arco di tre anni nei luoghi più disparati in pubblico e in privato, sul campo e in presa diretta, catturando all'istante le performance dei vari interpreti e trasferendole immediatamente su disco usando un Presto degli anni Trenta. Tra i nomi presenti nel primo volume antologico ci sono Richard Thompson, Loudon Wainwright III, Marshall Crenshaw, Leah Siegel, Joe Henry e Dawn Landes. L'impresa ha avuto ampio rilievo sul web attraverso siti, blog dedicati e campagne di finanziamento, ed è ora confluita anche in un film dallo stesso titolo. 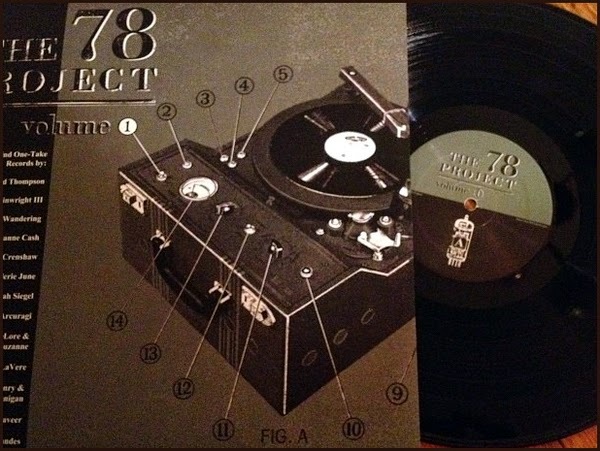 The 78 Project is a documentary and recording journey inspired by Alan Lomax and his quest to capture music where it lived throughout the early 20th century. Our project brings the spirit of his work into the present as we pair breakthrough musicians with the songs and the fascinating recording technology of the past. With just one microphone, one authentic 1930′s Presto direct-to-acetate disk recorder, and one blank lacquer disc, musicians are given one take to cut a record anywhere they choose. What we have found is that the film, music and feelings that result defy space and time, living music inspired by ghosts. Miles Mellough di Birds with Broken Wings traccia un ritratto di Stuart Moxham nella brevissima stagione di Young Marble Giants e The Gist all'esordio degli anni Ottanta, appena prima delle opere soliste: Lo-Fi King for a Day. In attesa del nuovo capitolo con Louis Philippe, ormai di imminente pubblicazione. Amidst the din of the unrestrained punk rock that surrounded them back in 1979, the Cardiff, Wales, trio of coolly, detatched vocalist Alison Statton, songwriter-guitarist-organist Moxham, and his bass-playing brother Philip eschewed noise at all costs. With just an organ, guitar, and vocals, played over beats emanating from a crude, tiny nuts 'n' bolts drum machine that had been recorded on a cassette tape, Young Marble Giants unleashed a uniquely quiet, ever-so-subtle strain of lo-fi, post-punk pop. Moxham and his band mates stripped their sound down to the very bone - removing all the meat and leaving behind no fat whatsoever. Theirs was absolutely the most skeletal that could be achieved; no overdubs and no production values whatsoever save the occasional guitar reverb. The drum machine beats I mentioned were virtually identical to those they used in their live show (apparently the solitary cassette tape was the only source for drum sounds that they ever had, or needed). The trio recorded Colossal Youth over a period of five short days, and completed the mixing in a mere 20 minutes. Yet despite its austerity, the atmosphere contained in Colossal Youth remains unparalleled by any other recording made prior, or since. As writer, Ken Taylor has said of the the group and their sole LP, "Young Marble Giants secretively brought more darkness and angst into the record collections of British kids than any smack-addled punk band ever could. Alison Statton's disaffected voice so strangely belies the emotions that were written into Moxham's brokenhearted tunes. The band left us with years of stereo-side analysis, mystery, and miserable beauty with just that one record." 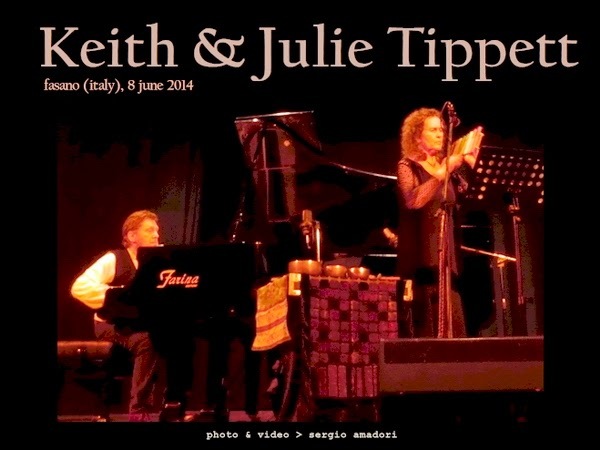 E splendida l'opportunità di rivedere in azione, sempre la settimana scorsa a Fasano (Br), Keith & Julie Tippett: Couple in Spirit! 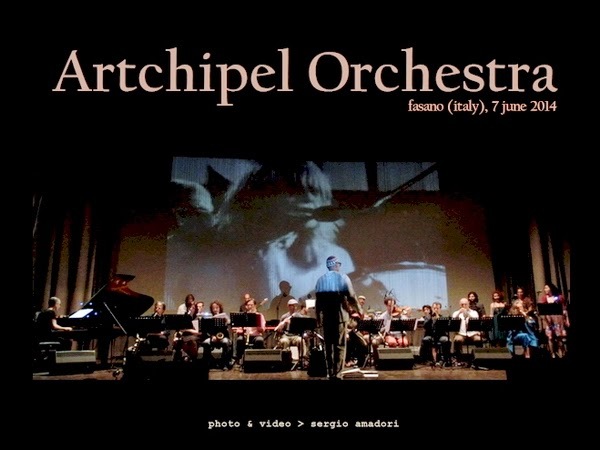 Splendida la Luna di Giugno che s'è mostrata a Fasano (Br) sabato scorso: grazie all'Artchipel Orchestra! 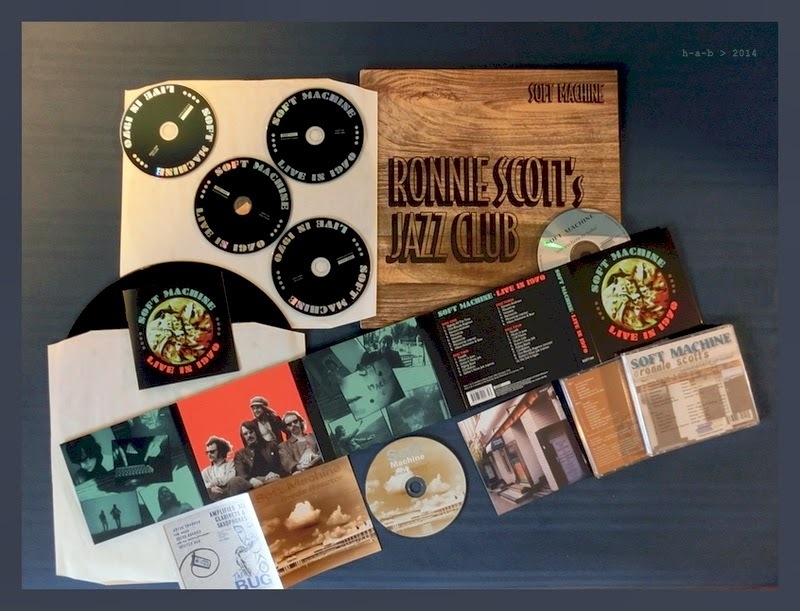 Voiceprint raccoglie in quattro cd in cofanetto digipak a tiratura limitata due documenti dei Soft Machine dal vivo già pubblicati qualche anno fa, Breda Reactor e Somewhere in Soho (questo poi uscito anche in vinile come Ronnie Scott's Jazz Club): Live in 1970, a Breda (Olanda) il 31 gennaio e a Londra (Regno Unito) dal 20 al 25 aprile, transitando da quintetto (Mike Ratledge, Elton Dean, Lyn Dobson, Hugh Hopper, Robert Wyatt) a quartetto (senza Dobson) alla vigilia delle registrazioni di Third. Ne ricorda la storia Brian Hopper, nelle note di copertina. Adele Schmidt e José Zegarra Holder di Zeitgeist Media annunciano di voler procedere entro fine anno alla realizzazione di un nuovo capitolo, il terzo, nella serie di documentari intitolata Romantic Warriors-A Progressive Music Saga. Al centro dell'attenzione sarà questa volta la cosiddetta 'scuola di Canterbury', con materiali d'archivio e contributi da parte dei principali protagonisti di quell'epoca - Wilde Flowers, Soft Machine, Caravan, Gong, Egg, Matching Mole, Hatfield and The North, Gilgamesh e National Health naturalmente, ma anche Quiet Sun, Supersister e The Muffins - oltre a numerose interviste raccolte ai giorni nostri. Una campagna di finanziamento dell'opera - dal titolo, forse provvisorio, Canterbury Tales - è in corso presso Indiegogo. 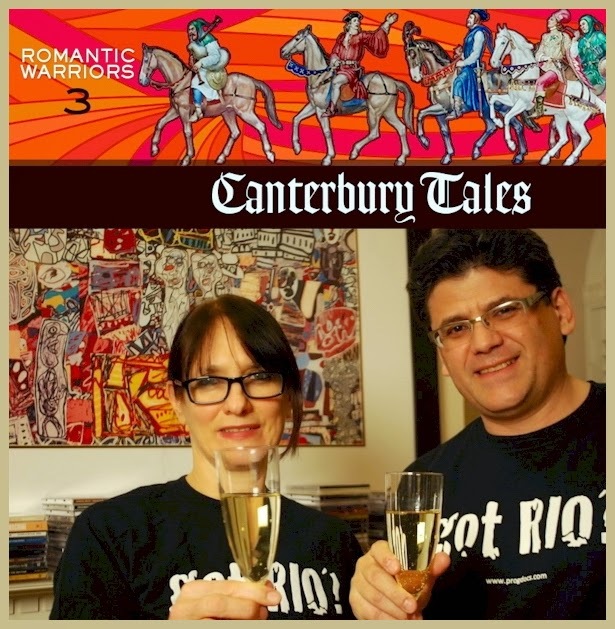 It is our pleasure to introduce to you our third film in the Romantic Warriors-A Progressive Saga series that will guide you through the amazing history, development of the Canterbury Scene and its influence on contemporary bands. The Canterbury Scene of the late 60s and early 70s marked a remarkable period in the history of British progressive rock music and, most notably, the development of jazz rock. A number of later bands that formed outside of Canterbury have been labeled as “Canterbury bands” (including a few in Europe and the US), some of these bands were founded by a member of Soft Machine or Caravan while others were obviously influenced by these Canterbury groups. The scene was a breeding ground for world class players of considerable harmonic sophistication who innovated and expanded the music of their time. Through interviews with "Canterbury Scene" musicians, clips of live performances, photographs, and current/archival footage, the film takes a closer look at the bands that are now considered a part of the Canterbury Family Tree. E' disponibile al sito web dei Westbrook il nuovo numero dello Smith's Academy Informer, con un resoconto delle molteplici attività svolte nel primo semestre 2014 e il calendario delle prossime iniziative. 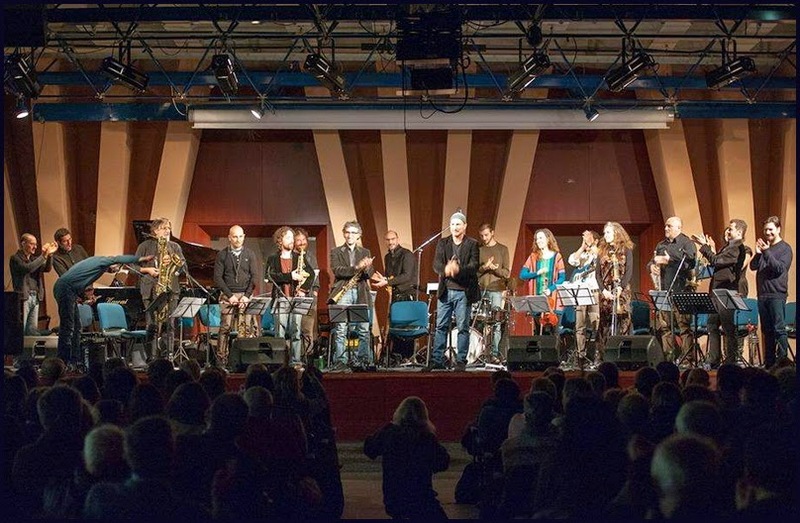 Oltre agli impegni estivi con la Big Band, in vari contesti e con differenti repertori, spicca il concerto del solo Mike - evento assai raro - questo fine settimana a Lille (Francia), in occasione del Lille Piano(s) Festival dedicato appunto al pianoforte e a compositori del periodo tra le due guerre mondiali. Non mancherà comunque di intervenire anche Kate, come ospite, con testi di Owen, Sassoon e Arcos tra gli altri. La guerre n’a pas épargné les compositeurs qui se sont battus, ont été blessés ou sont morts au combat. La musique porte l’empreinte de ces temps di ciles, y réagissant par un surcroît d’énergie, de créativité. 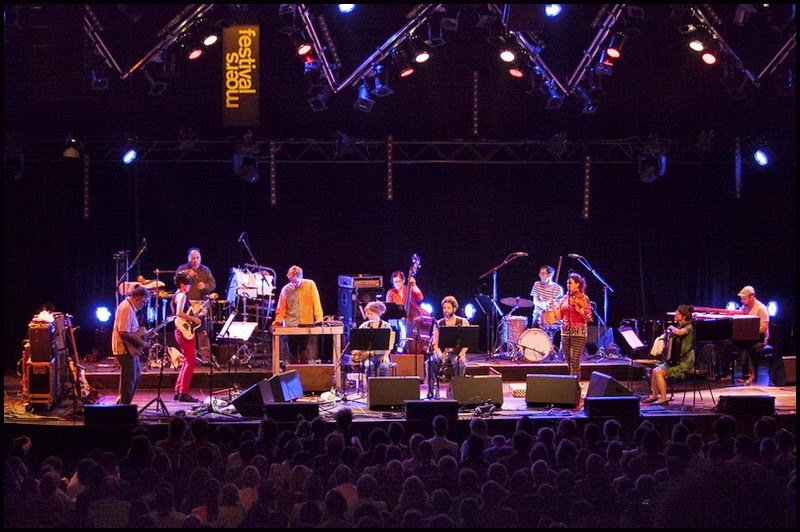 Alors que débutent les commémorations de la Première Guerre mondiale, le festival fait une large place aux compositeurs qui furent confrontés à cette guerre et à la Seconde. Autour de quelques gures emblématiques, celles de Paul Wittgenstein, qui perdit son bras droit sur le front russe et suscita la création d’un vaste répertoire qui lui permit de poursuivre sa carrière, d’Albéric Magnard, qui fut tué en défendant son manoir contre l’envahisseur, ou de Claude Debussy, qui vécut ses dernières années malade de la guerre et du cancer. Autre guerre, autres musiques, celles qui virent le jour au Camp de Terezin, ou les trois Sonates “de guerre” de Prokofiev . Pour interpréter ces musiques liées à la guerre ou programmées pour d’autres raisons, plus de quarante pianistes, de tous âges, de tous horizons. Des concertos, des récitals, d’autres concerts destinés aux mélomanes en herbe et aux familles. Des concerts en images, d’autres aux formes plus originales encore, telle une “battle” pianistique paci que sur fond de jeu vidéo. 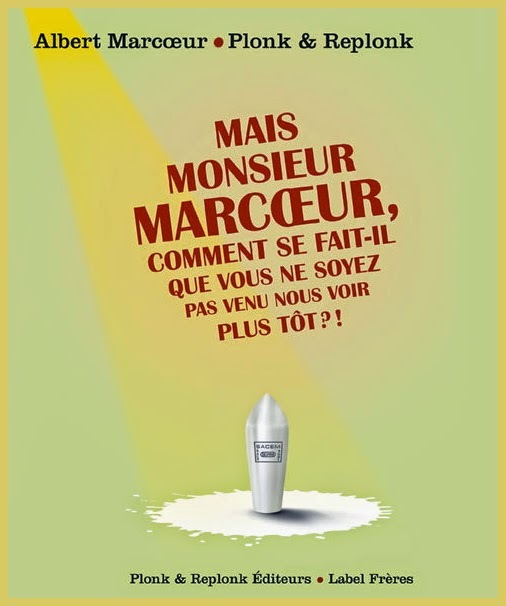 Sans oublier quelques incursions hors du classique, concoctées avec Jazz en Nord ou Muzzix. Le compositeur et pianiste Mike Westbrook et sa femme Kate, parolière et chanteuse, ont fêté en 2013 leurs 40 ans de travail commun. Ce couple anglais a développé un répertoire de créations originales, adaptant en musique des œuvres de la poésie européenne. 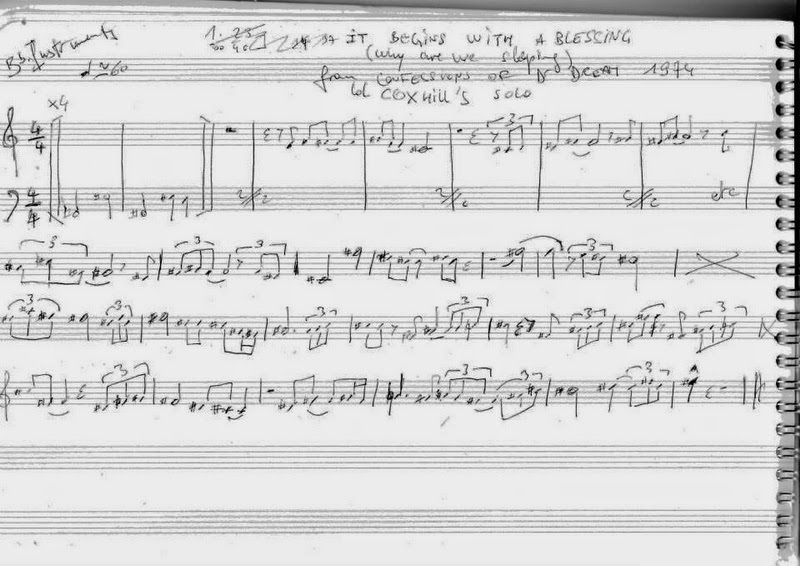 À l'honneur ici les poètes de la Première Guerre mondiale comme Wilfred Owen, Siegfried Sassoon ou René Arcos, des improvisations sur des thèmes de Duke Ellington et Billy Strayhorn ainsi que sur des compositions de Mike Westbrook lui-même. E stasera, Keith & Julie Tippett: Couple in Spirit. "We never rehearse together or talk about what we're going to do. You're living on your nerve ends. It's like being in a dream and yet awake at the same time because you have to respond as well as to instigate, and your whole body is tuned to going for the magic." A Fasano (Br), Teatro Sociale, alle ore 21.00. 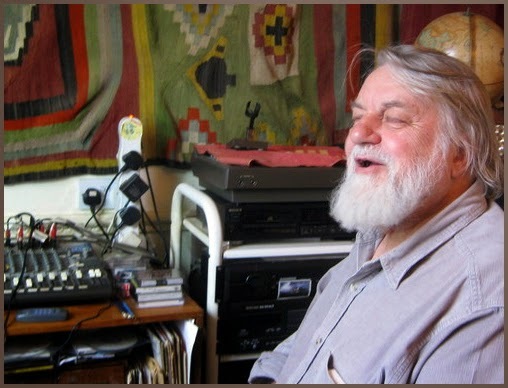 Trasmesso dalla BBC Radio 4 nell'ottobre 2012, ma non più recuperabile negli archivi web dell'emittente, il programma di Alan Hall di Falling Tree The Voices of Robert Wyatt è riapparso presso SoundCloud: "Robert Wyatt has been recognised as a prog-rock drummer, jazz composer, avant-garde cornet player, artist and activist in a wheelchair. But, above all else, he has been known by one of the most instantly recognisable and distinctive voices of the last fifty years. Forever associated with Shipbuilding, Elvis Costello's song written in reaction to the Falklands War, Wyatt's voice and the causes he gives voice to are intricately entwined. 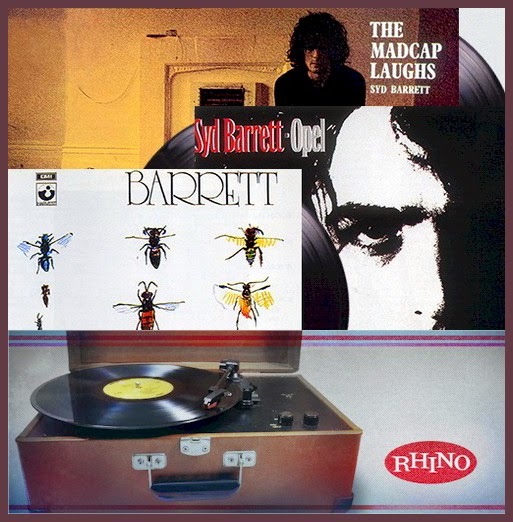 This intimate radio portrait, in his own words, traces Wyatt's journey from the psychedelic excesses of Soft Machine (appearing both with Jimi Hendrix and at the BBC Proms), through the life-changing accident that has confined him to a wheelchair for almost forty years, to recent celebrated musical projects that are reaching new audiences." A proposito di Lol Coxhill, Canterbury Scores recupera traccia scritta del suo intervento - l'unico - nell'album di Kevin Ayers The Confessions of Dr Dream (1974), una breve evoluzione bluesy'n'boozy in It Begins with a Blessing (cioè Why Are We Sleeping), perfetta per l'occasione ("My head is a nightclub / With glasses and wine"...). 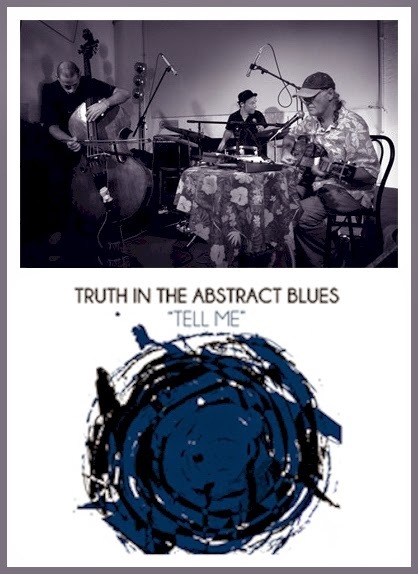 Registrato dal vivo al Forte Fanfulla a Roma, Tell Me è il nuovo capitolo per Truth in the Abstract Blues ed esce su vinile in tiratura limitata, per Ethbo Music: Mike Cooper, Roberto Bellatalla, Fabrizio Spera lo presentano domani sera proprio al Fanfulla, prima che chiuda. 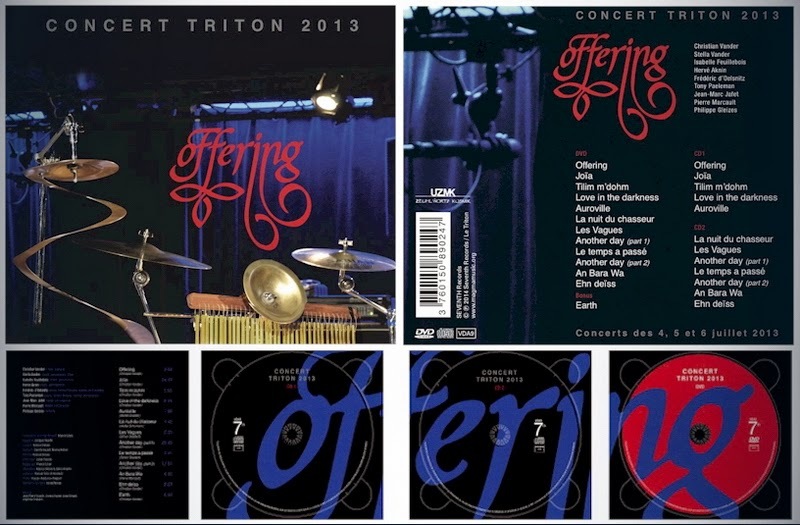 I concerti di Offering dell'anno scorso al club Le Triton a Les Lilas (Francia) sono riassunti in un corposo documento audio e video ora pubblicato ufficialmente da Seventh Records: Concert Triton 2013. In 1983, motivated by a strong artistic desire to return to his roots in the Coltrane sound, Christian Vander created the ensemble Offering, focused on vocals, keyboards and percussion. More experimental, leaving much more space for improvisation, this group allowed the musicians to explore new avenues. Thirty years have flown by, removing Offering from the sight and hearing of younger generations. Now they also can benefit from this wonderful gift that was Offering, Christian Vander and his musicians having decided to celebrate this anniversary by recreating the music with the same enthusiasm of the original. This initiative will delight all fans of the Magma experience, regardless of their age . Gioie e dolori del suo trentennale rapporto - da tempo interrotto - con la società francese che presidia i diritti d'autore, la Sacem, raccontati con l'ausilio delle illustrazioni di Plonk & Replonk: Mais monsieur Marcoeur, comment se fait-il que vous ne soyez pas venu nous voir plus tôt? !, di Albert Marcoeur.